“From the end of 2010 Mark began to develop his website Belsebuub.com, and many of the talks he had given while in The Gnostic Movement were gradually transcribed and published on the site as web articles over the following three years. 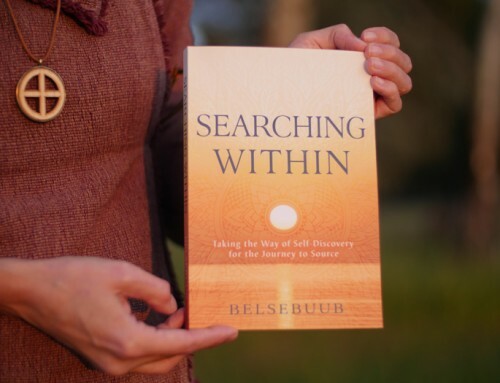 In 2011 Belsebuub’s book Gazing Into the Eternal: Reflections Upon a Deeper Purpose to Living was released as a free eBook on his website in Kindle and EPUB formats. Mark had always wanted to provide his work for free and had initially created his popular online courses in 2001 as free downloadable PDF files. As eBooks had become more popular and were a very low cost way of publishing, Mark thought it would be a good way to give his work freely in written format again, and so planned to gradually release all his books as free eBooks as they became ready. Thank you very much for making all this information available. I am so Happy to hear what you have achieved it is incrediable and beyond words Amazing.. I have just finished reading the latest update to the Biography ‘In Solitude’. To be honest I am speechless, I cannot begin to imagine what a tremendous experience that Mark has lived in achieving the Ascension. I really don’t have the words to express the awe I have felt reading this. Thank you very much, Mark and Lara, for making this available for everyone to learn about and from. I am very grateful for all that you have done. I am one of the people that let Mark down in his time most need so at times reading these latest updates has been difficult and challenging, forcing me to look at myself and my actions and inactions and trying to understand the apathy and lack of care that I allowed to take hold. It is interesting to learn that all learning is cyclical and that even when being the King of this physical world, because he has now overcome it, being born anew a young Son means that Mark will continue to be on another cycle of learnings and challenges just on a higher and different level. It really helps to understand, as best as I can, the notion of ‘infinity’ and that while this physical body decays and dies returning to the earth the eternal psyche and soul lives on forever. I feel in a way that I really don’t deserve to be taught about the wonders of life, spirit and the universe so freely like this, without having done even a drop of the work that Mark has carried out. But I am definitely grateful as it helps me to put things into perspective and I hope and pray I may one day drag myself out of my own darkness forever. Having read the latest biography page. I do not know what to say or do. But, I’m very happy for you Belsebuub, truly. Your path and teaching has shown and continues to guide the way. Which is a gift and opportunity given onto my life. With my life I hope to journey to my own being. And I also hope to help in the mission to bring the spirituality of the sun to humanity for their benefit. Thanks Mark for sharing your experiences. It’s really nice to know that you’ve managed to get so far, that is, considering the never ending difficult times which knock out most. Thanks Lara for putting it up. I just wanted to say that despite all the hardships Mark had to face, I am totally amazed how he could progress so fast. I haven’t heard of anybody doing this spiritual work so fast… And even if I understand intellectually that he was able to do this because he dedicatd himself fully to it, still, many dedicate themselves and yet don’t progress so fast. I mean, it takes some time to even figure out how to do things correctly, what’s important, what’s not, and so on. And even other people who achieved enlightenment in their life time (like for example the masters of modern Gnosis Samael or Rabolu) didn’t make it so fast. Thanks for this chapter and update. I find that this biography of Mark’s path gives a lot of direction. On what the path is like and what reaching spirituality within is like. 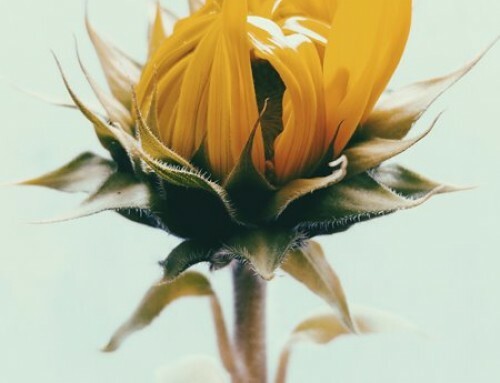 Reading this story I find that many things seem very profound, but at the same time (and this “surprise” might be due to my preconceived ideas) there is still this ‘down to earth’-ness to the work a person is doing, even at those stages. With the same sort of mechanism and work still in action as earlier on the path. Some other things I read also make me reconsider the ideas (or old ideas) I have of what it is like spiritually that I should pursue. Triggering some reflection and, I feel, a need to explore such questions within to find the answers. Thanks again. Also that quote from the Prashna Upanishad is amazing! I agree Karim, there is certainly a human level in those that take up the work, as opposed to a life lived above the clouds and removed from the mundane world. Reading Mark’s biography, I feel reminded that this is still a human being that went through so much, and was left alone to face most of the difficulties. What I find inspiring, that whilst within so much difficulty, he writes that he had to raise himself out of his inner abyss, and that is when he just kept going, and kept writing, kept being part of this world and lived for this world to help people, as opposed to taking a break to find peace and tranquility (which is where I tend to lean towards when facing difficulty). It is incredible that even after so much, even at this later stage of the work, experience and knowledge, he was still suffering. It is amazing what one person can achieve and go through. It seems hard to fathom the enormity of everything he faced, but he is also a person who faces life just like any of us. Thanks very much for the update. It certainly has been a difficult and challenging time for Mark and Lara. I really appreciate but also admire the dedication, persistence and will to continue in the face of so much negativity and many obstacles. Its great to hear mark and lara finally getting some justice and being able to once again focus on giving these magical teachings to humanity. Hearing these accounts of what has happened throughout all the hardship, makes me understand the great level of sacrifice for humanity. It is this sacrifice that has given the rest of us the opportunity to take up this path. Very true point Chris. I hope I can fully appreciate that opportunity. It’s also great as an example of how each person active for humanity can create opportunities for others. Thanks so much for the update, this explains a lot of what was happening that I could not understand at the time. It’s really interesting to be able to still somehow feel the light / have it within while being submerged in darkness and deal with all the attacks as well — I can only imagine what a big help that would have been to get through it all. The quote from Pistis Sophia in this context was really touching to read as well. Thank you for shedding light and sharing your insights on these subjects. Thanks for the update, Lara. It’s really remarkable how much you and Mark were able to do, despite those horrendous circumstances and being the central focus of the attacks. Doing research into the ancient solar religions, publishing books, posting talks, etc. That shows a lot of love for humanity and passion to provide these teachings to others, regardless of the obstacles. I’m very glad the attacks finally did end and that you and Mark have the freedom to teach without persecution.